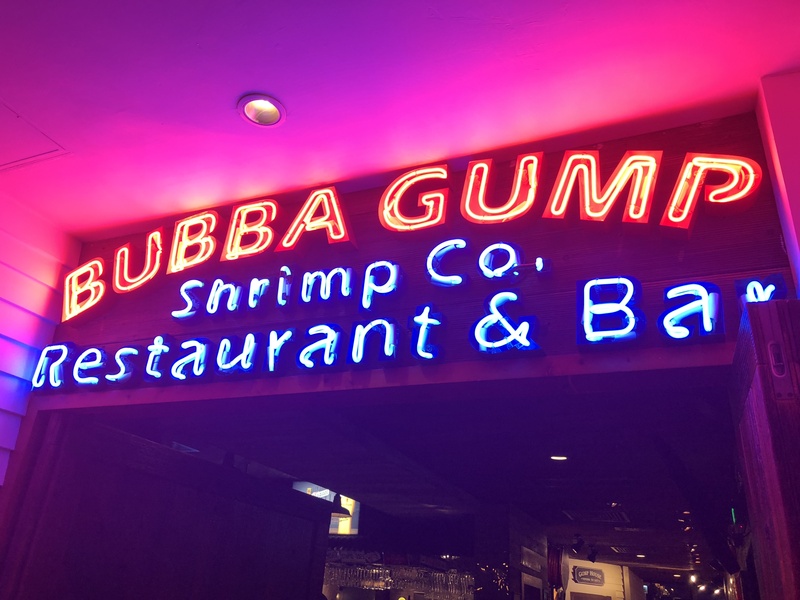 If you have loved watching Forrest Gump as a child a visit to this awesome restaurant is a must, but even if you have nothing to do with the love for Forrest Gump and you just happen to be in Hong Kong and like to eat American style seafood, this is the place to come and eat at. 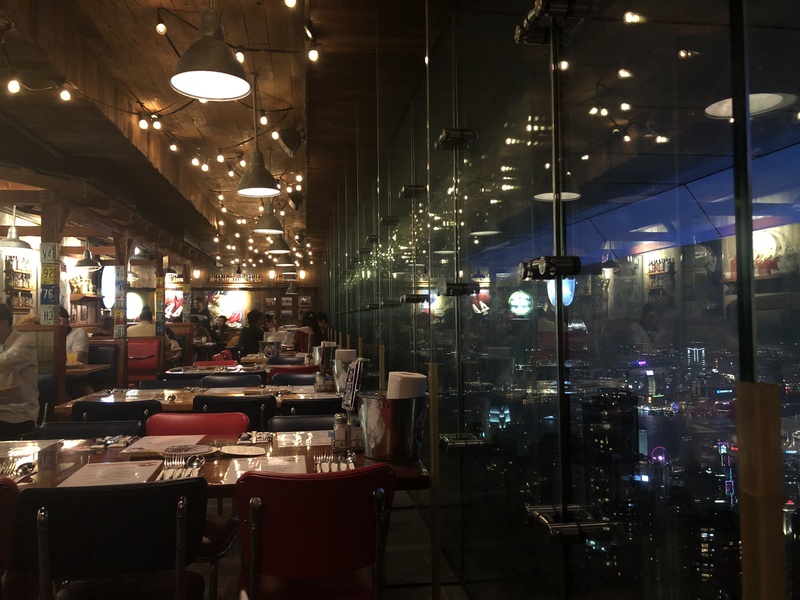 Bubba Gump Shrimp Co. @ The Peak Tower, Hong Kong ticks all the boxes for us – Great food, a splendid view, buzzing atmosphere and awesome drinks…this place is an absolute must visit. Awesome Food and a Stellar View! 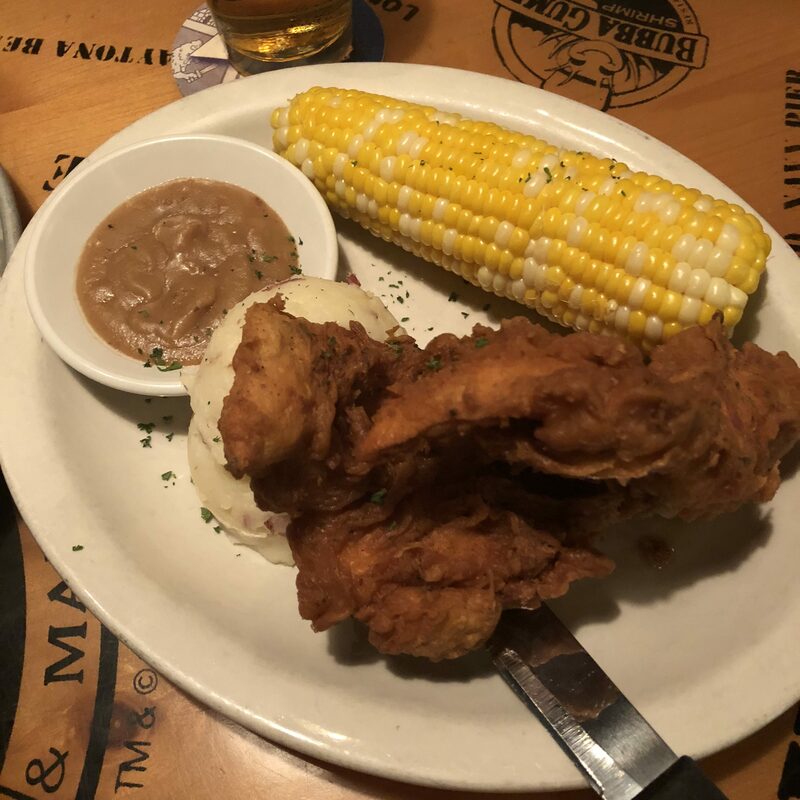 We ordered for the Dumb Luck Coconut Shrimp (which comes with fries) and the Mama’s Southern Fried Chicken (which comes with mash potatoes, gravy and boiled corn). We also wanted to try the Japanese Beer Kirin Ichiban but sadly they didn’t have the stock, so we ended up ordering the local brew. 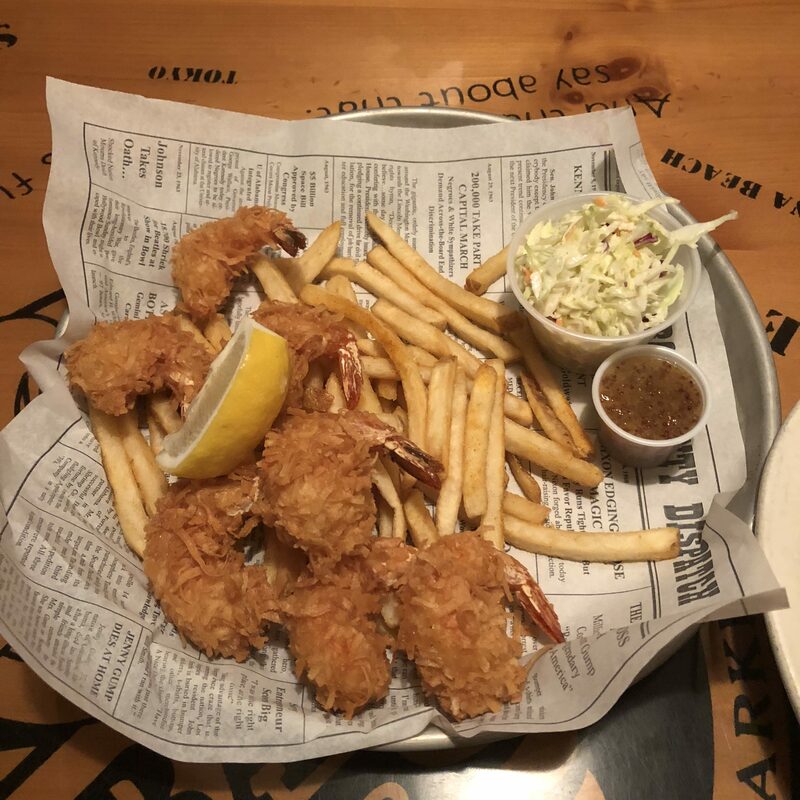 * The Shrimp dish was mindblowing! You HAVE to try it for yourself! 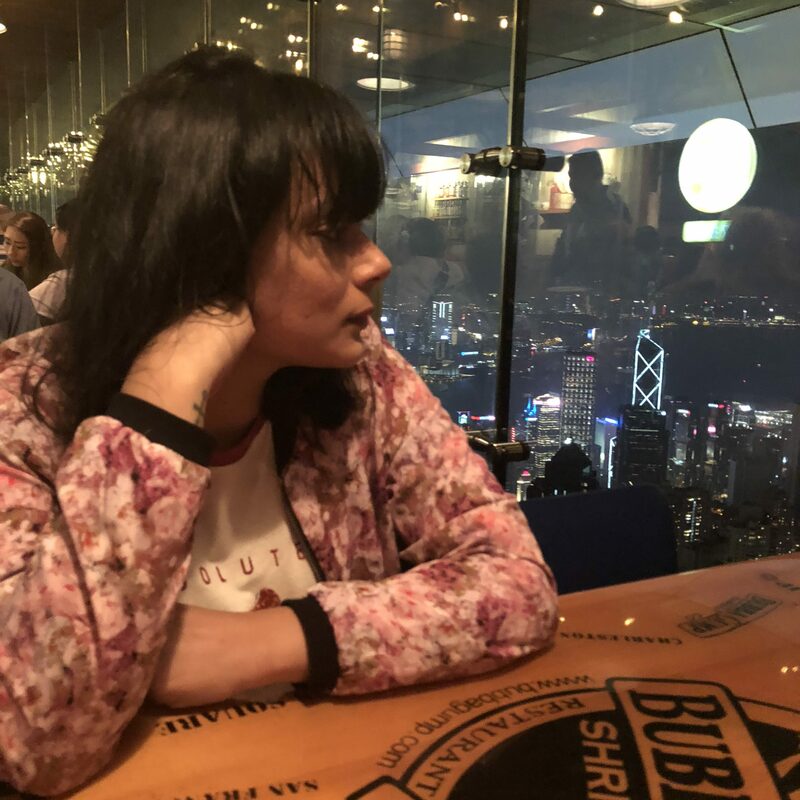 The restaurant is priced on the higher side and they do include a 10% service charge, which we felt was a bit cheeky, but the food is good and portions are huge! We couldn’t finish the chicken dish, so we recommend you order light. Also, the 20 oz. draft beer comes with a limited-edition Souvenir Glass that’s yours to take home (how cool is that?!) and if that’s not enough there is a pretty good souvenir store next to the restaurant as well. 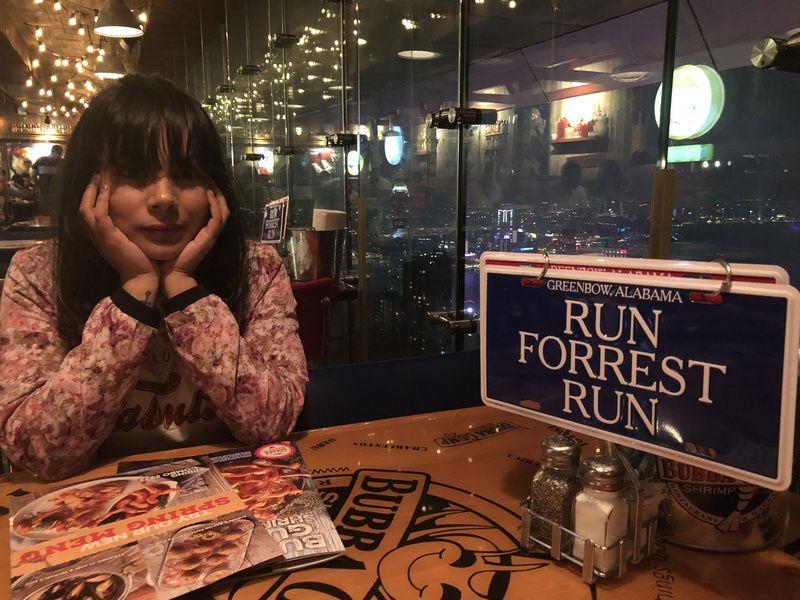 Bubba Gump Shrimp Co. @ The Peak Tower, Hong Kong is indeed popular, especially in evenings so we would highly recommend you get prior reservation done if you want the window-side tables with the view. You can also book a set meal offer at Klook here at some great discounts. We have a Bubba Gump here. It’s ok. Not the best. The novelty of it had worn off here. But I’ve eaten there several times and it’s been decent. 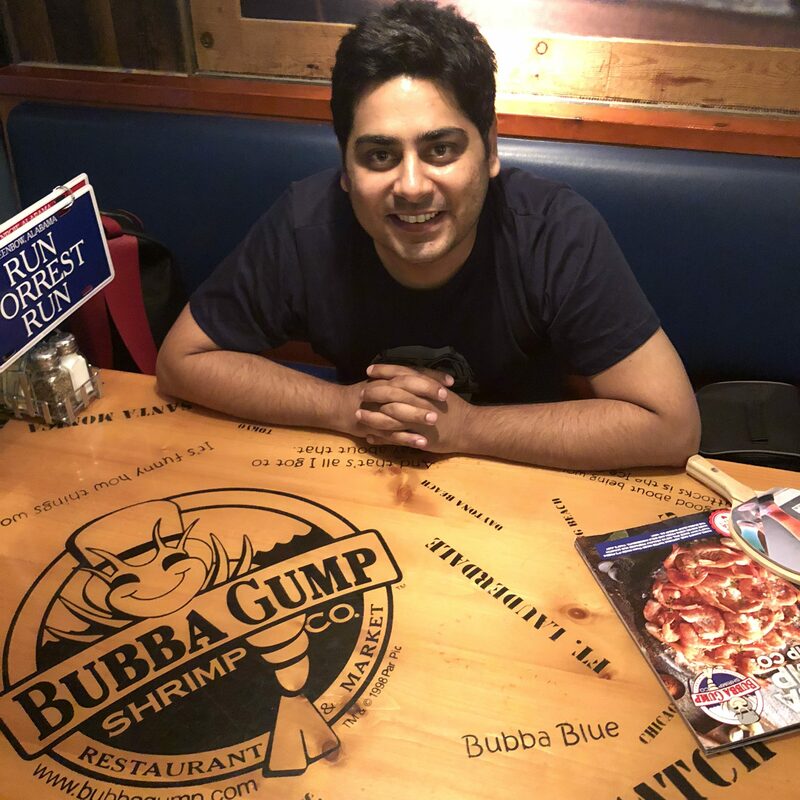 This was the first time we ate at Bubba Gump, so were quite excited to try the food. 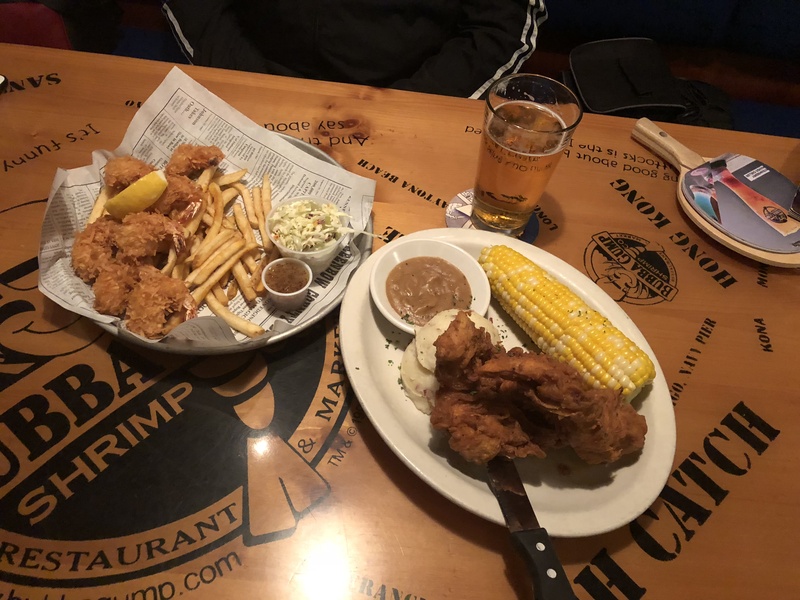 We loved the shrimp dish, but weren’t very impressed by the Mama’s Southern Fried Chicken!